INVISIBILITY HAS NEVER SOUNDED THIS GOOD. Today’s multi-channel surround sound and whole-house audio systems require multiple speaker locations. The result can be an ever growing number of speaker grilles, boxes and hardware that compete with the decor of your living space. We invite you to experience the freedom of invisibility with our new LineaResponse® invisible speakers. 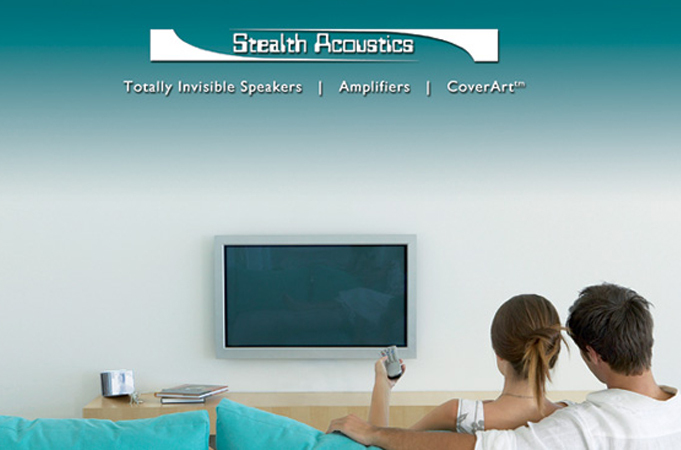 With Stealth Acoustics you get dynamic full range audio placed where you want, without regard to the architectural conflicts that occur with conventional speaker grilles and boxes. Stealth CoverArt™ is an affordable and easy-to-install display cover solution that blends nearly any flat screen display into the décor of home or office by automatically converting it into a beautifully framed photograph or work of art.